Friends and community members will gather in Syracuse on Saturday for the annual Syracuse Homecoming. This photo is from the 2017 gathering. People will pack the riverfront area in Point Pleasant in the coming days for the annual Point Pleasant Sternwheel Regatta. OHIO VALLEY — From music performances to a homecoming event, there are numerous events planned in the region for this weekend. 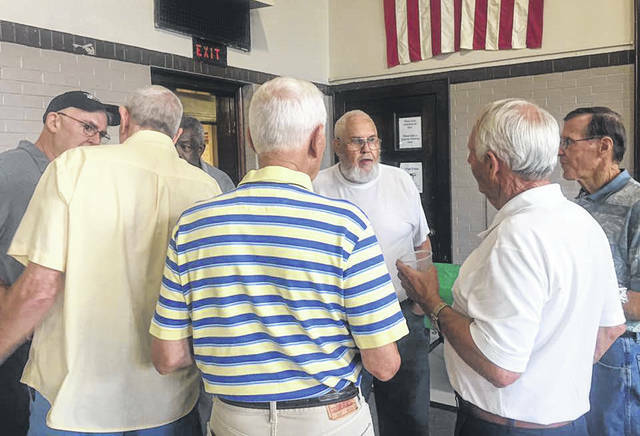 In Meigs County, Day of Hope will be help from noon to 8 p.m. on Friday, June 29 at the Rutland Civic Center, 337 Main Street in Rutland. It is to be a time of fellowship and messages from guest speakers Josh Lightner and Pastor Randy Smith. The event will include food, prizes, and games for all ages. Later in the evening, the Big Bend Community Band, under the direction of Toney Dingess, will play an outdoor concert at the Syracuse Community Center beginning at 7 p.m., as part of the Center’s ice cream social. In case of rain, the concert moves indoors. Sousa marches, selections from the movies, a collection of folk songs, and a patriotic fanfare are included on the program at both concerts. Admission is free. In Pomeroy, the second Rhythm on the River concert will feature Eliza Neals & the Narcotics at 8 p.m. at the Riverfront Amphitheater. On Saturday, the Syracuse Community Center will be host to the annual Syracuse Homecoming. A potluck meal will take place at 11 a.m. This year’s event is dedicated to John Slack. At 1 p.m. on Saturday, the Meigs County Health Department (MCHD); Meigs County Cancer Initiative, Inc. (MCCI) and the Meigs County District Public Library will host a free viewing of “Someone You Love: The HPV Epidemic,” which is a feature length in-depth documentary narrated by Vanessa Williams on the Human Papilloma Virus (HPV) and the stories of struggle, tragedy and triumph surrounding this complicated and often misunderstood infection. This educational event will take place on Saturday, June 30 beginning at 1 p.m. in the basement meeting room of the Pomeroy Library located at 216 W. Main Street. Dr. Wilma Mansfield, MD, who is a retired family practice physician and MCCI member, will answer questions during the program. Light refreshments will be served. Also going on in the region is the Point Pleasant Sternwheel Regatta in Mason County. The 28th annual Point Pleasant Sternwheel Regatta will be held from Thursday through Saturday featuring music, pagents, races and many other events. On Thursday evening of the Regatta, the Teen and Miss Pageants will be held at 6 p.m. at the Riverfront Park Stage. Devin Henry will be performing Friday evening at 8 p.m. at the Riverfront Park Stage and will be the opening act for Brown & Gray performing at 9 p.m. Brown & Gray recently performed at Stagecoach and had a hit single with “Top Down” on country radio. 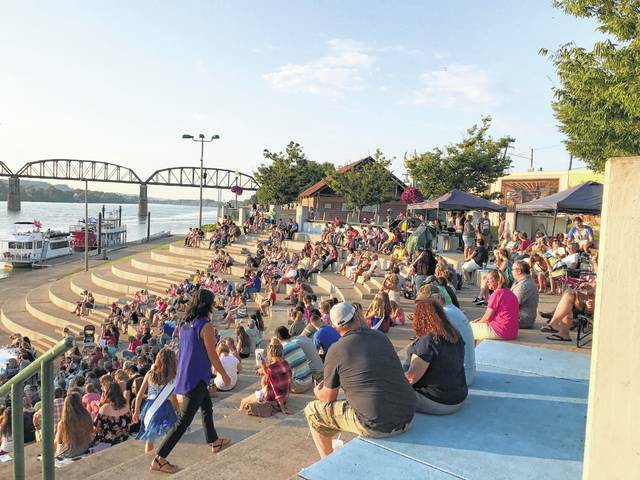 On Friday, prior to the musical events, the Junior Royalty Pageant and Pretty Baby Contest will both be held from 6-7:30 p.m. at the Riverfront Park Stage. Registration for both events will be from 5-5:30 p.m.
Saturday will be a full day filled with events. The 5K/10K River Run and Kids Fun Run will begin the day at 8 a.m., at the Point Pleasant River Museum and Learning Center. Registration will be from 6:45-7:45 a.m. Following, a parade will held on Main Street at 11 a.m., a car show will be on Main Street at 11:30 a.m., and at noon there will be kids games at Tu-Endie-Wei State Park. The Riverside Cloggers will have a performance from 1-3 p.m. at the Riverfront Park Stage, then at 3 p.m. a line throw contest will be held at the Point Pleasant River Museum. The sign ups for the line throw will be from 2:30-3 p.m.
A performance by popular local group Two River Junction (classic rock and classic country) will be held from 8-10 p.m. at Riverfront Park Stage with fireworks following at 10 p.m. Rockin’ Reggie will be set up on Fourth Street after the fireworks. For a complete schedule of Regatta events visit the Point Pleasant Sternwheel Regatta on Facebook and at http://www.pointpleasantregatta.org.